1. 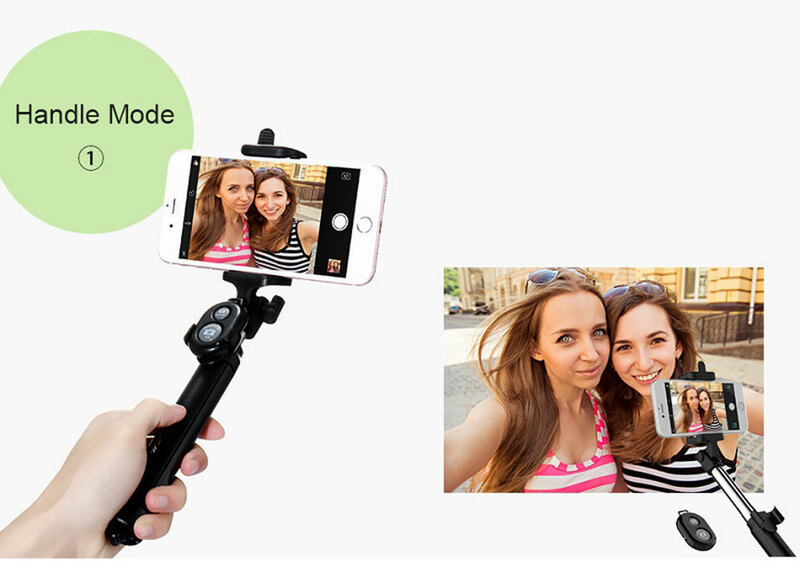 Fix your bluetooth paired mobile to this selfie stick. 2. 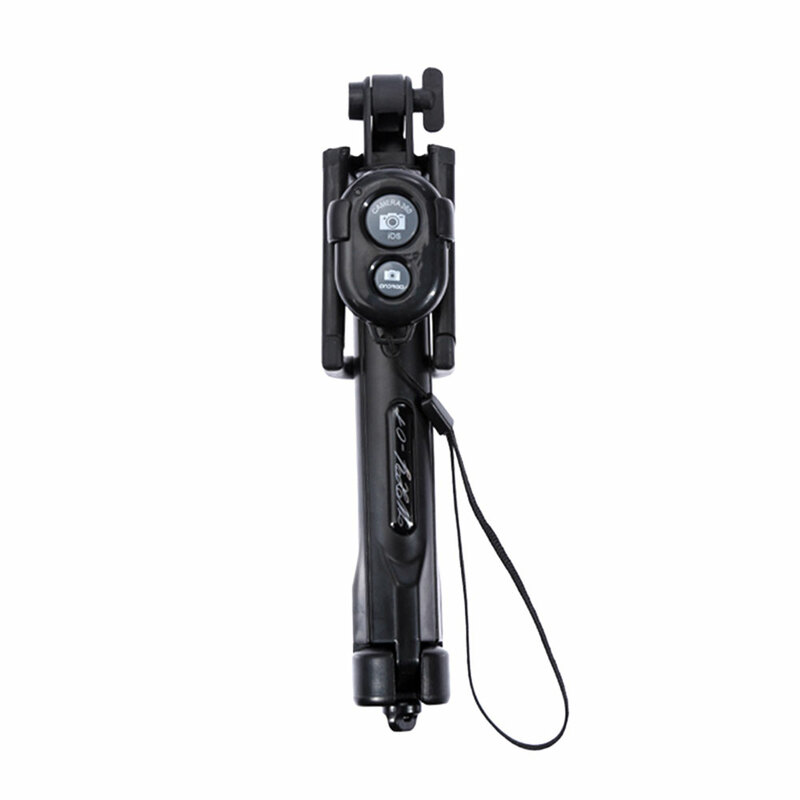 Stretch open our light weight tripod stick. 3. 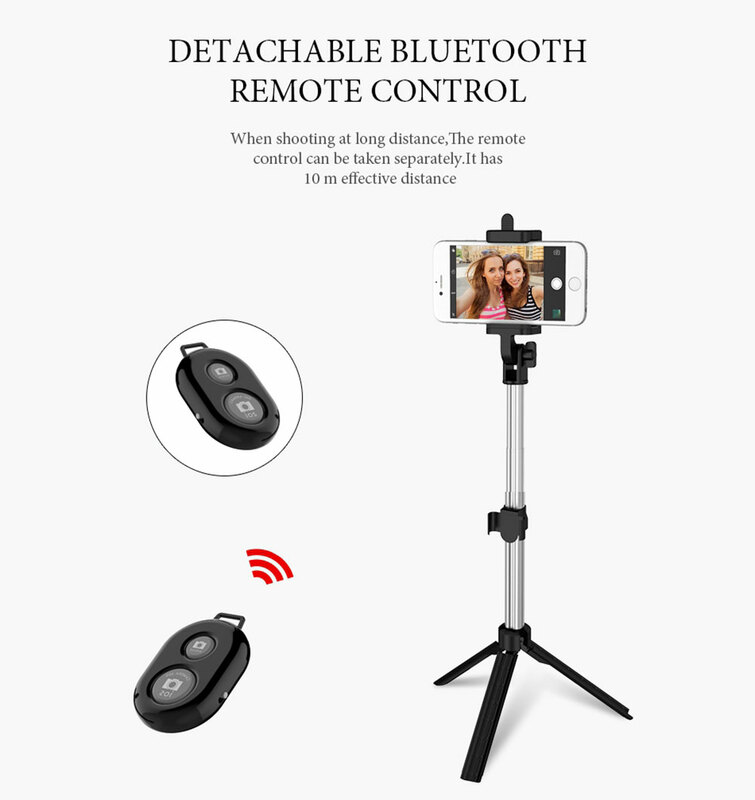 Click the bluetooth trigger to take your selfie with your beloved friends/family with any amazing backdrop. 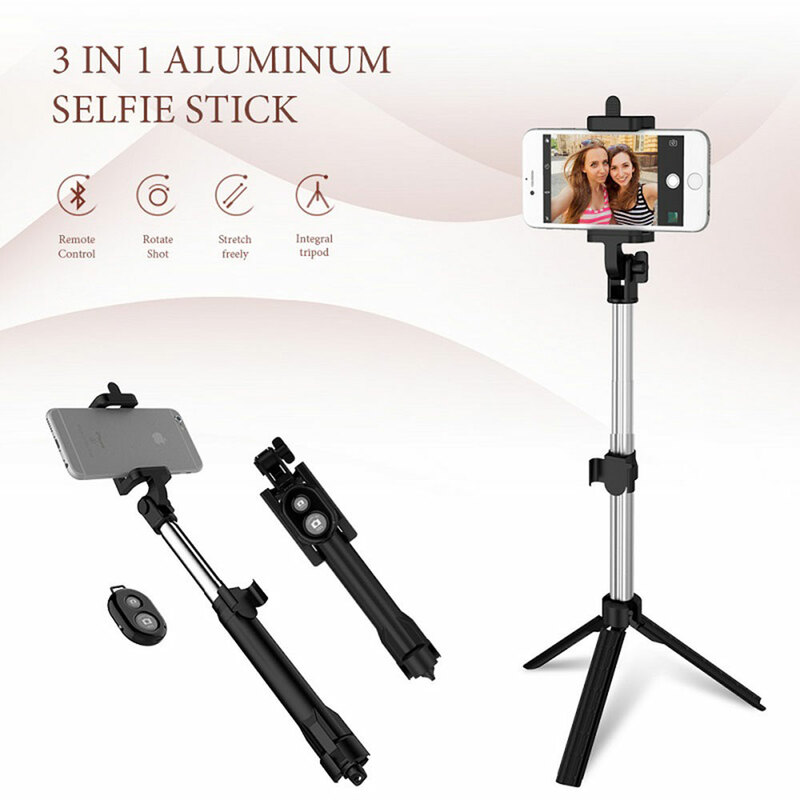 Yes you hate to carry those monopods which needs screwing to take a selfie and they are heavy too, its a pain. 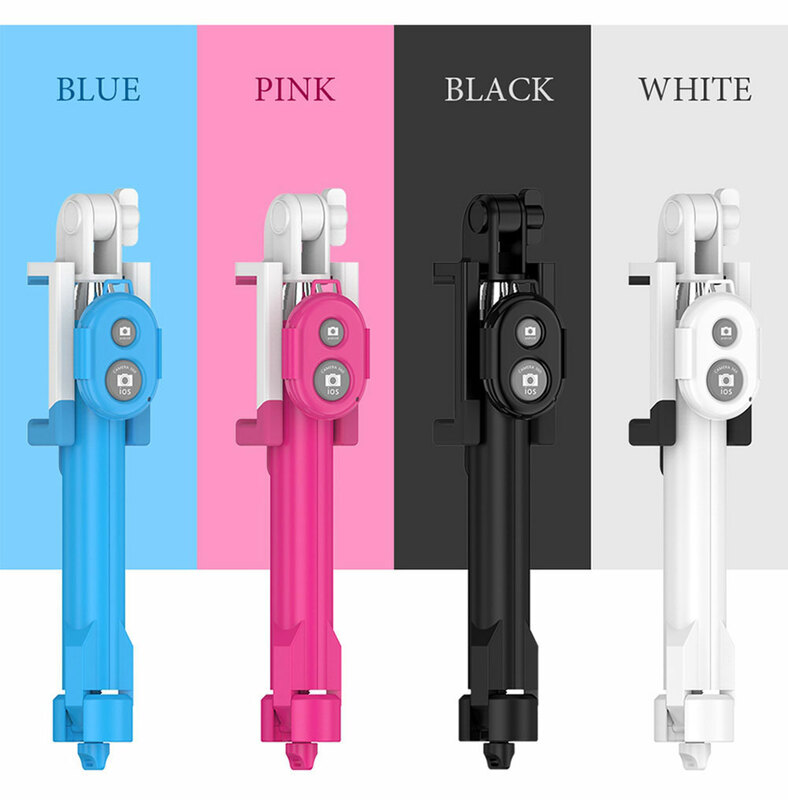 Our lightweight foldable selfie stick was designed to eliminate this to make a ordinary Selfie Stick lighter but more functional. 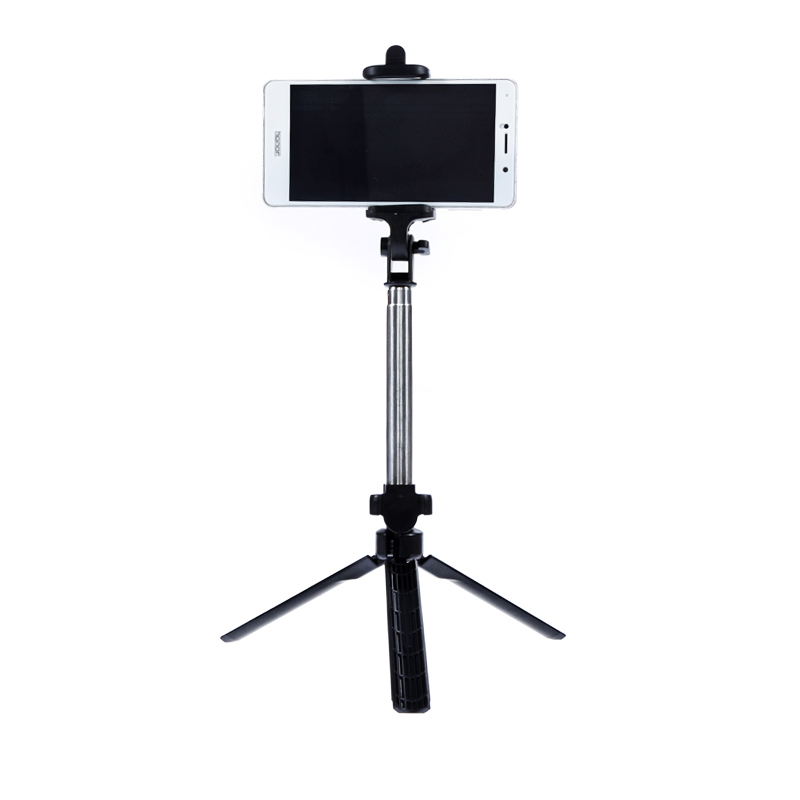 You will spend less time in fixing the tripod, means more time to frame your perfect selfie. 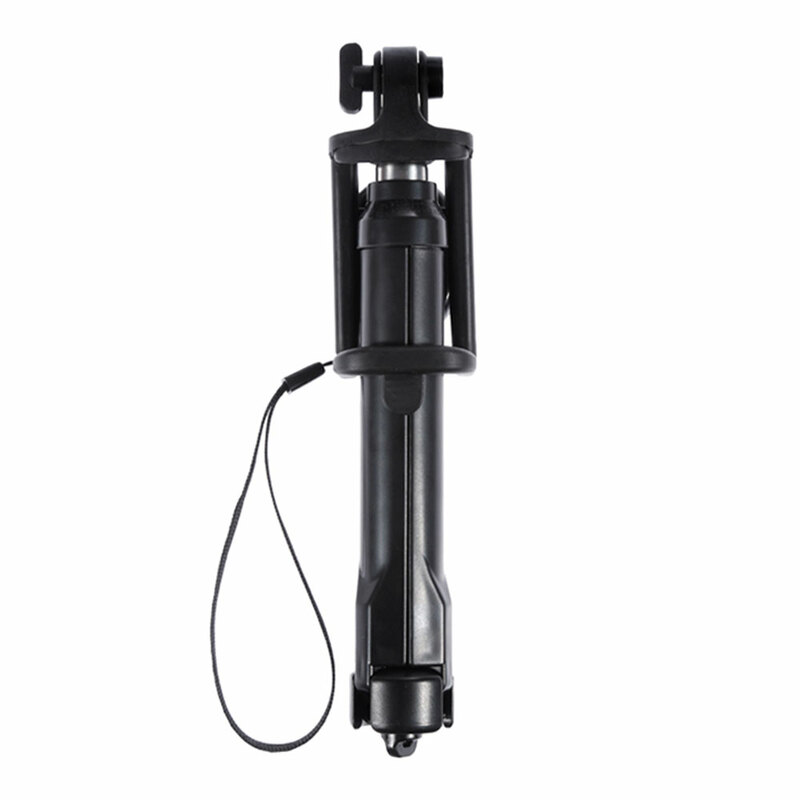 Pocket size design makes it easy to carry. 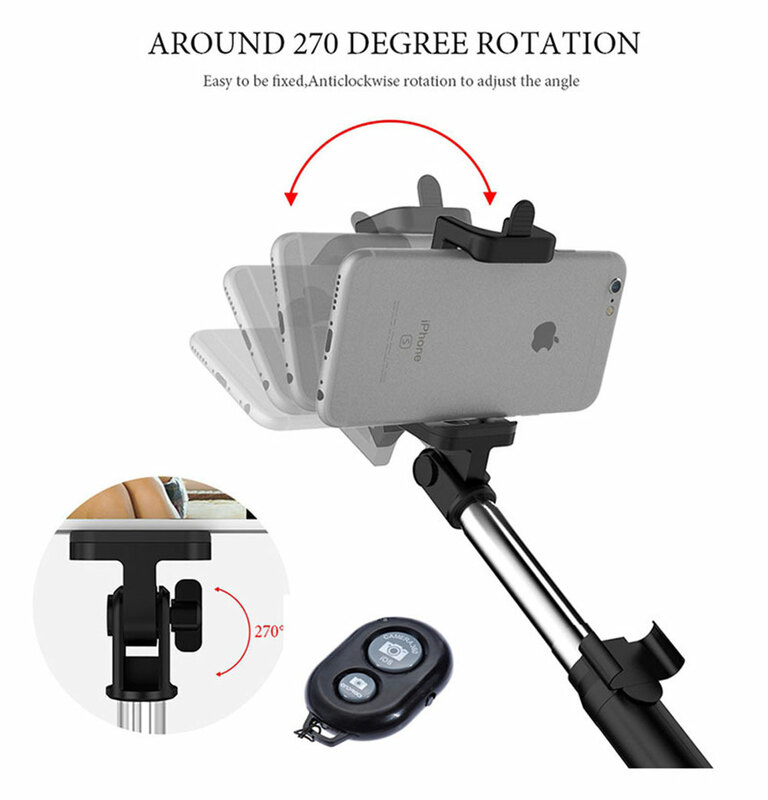 Its 360°rotation fits every situation. 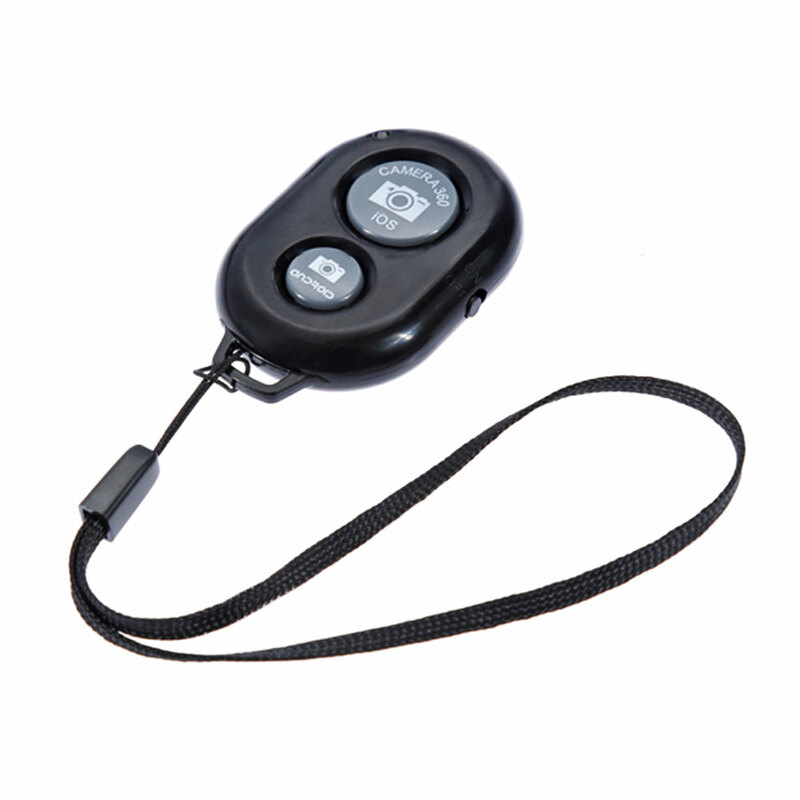 Bluetooth remote gives you more freedom. Click the "Add to Cart" button to claim yours today while the stock lasts. Kindly allow 3 to 6 weeks for tracked shipping.